Round Neck and V Neck Cardigan pattern crocheted using supersoft Snuggly DK. 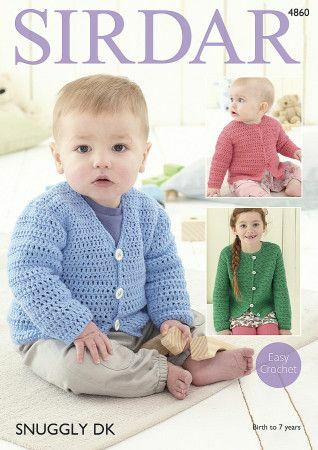 Originally crocheted using Cutie Clover (480) and Perky Pink (481) which have been discontinued. Please select an alternative.